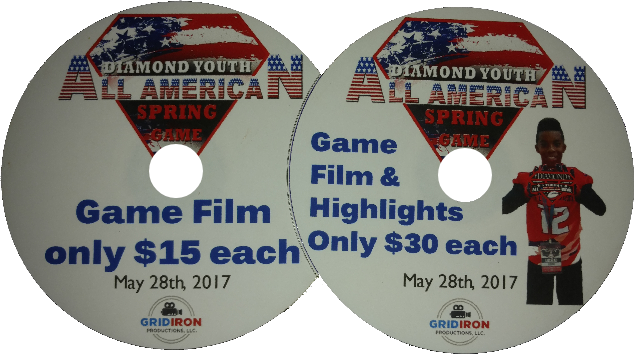 The Diamond Sports Group has partnered with GridIron Productions to bring you high quality DVDs of your athletes game film allowing you to watch and enjoy the action as it happens and again on DVD for years to come. We are also offering Individual Highlights for those athletes that show out making the BIG plays during the game. Keep reading for more info and to order! 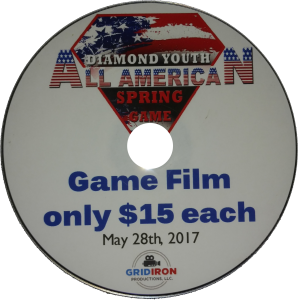 Game Film DVDs Feature 1 Full Game, unedited, with audio. (not responsible for what the camera picks up on audio)! 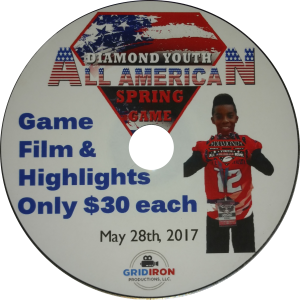 This DVD will feature your athlete and his highlights during the 2017 Diamond All American Game as well as the Full Game Film, Unedited, with Audio. (not responsible for what the camera picks up on audio)!